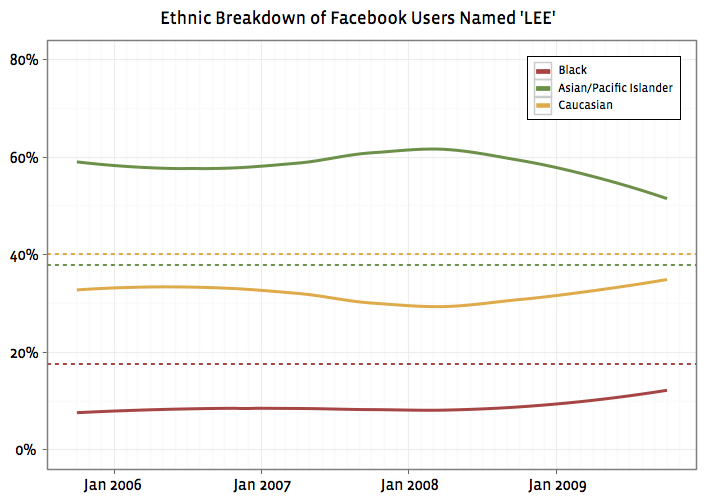 We just posted this on the Data Team Page, and I thought I would post it here as well. When Facebook users in the United States logged into Facebook on Election Day this year, they were greeted by a message alerting them of voting activity on Facebook. Users could click a button to announce to their friends that they had already voted and see which of their friends had done the same. 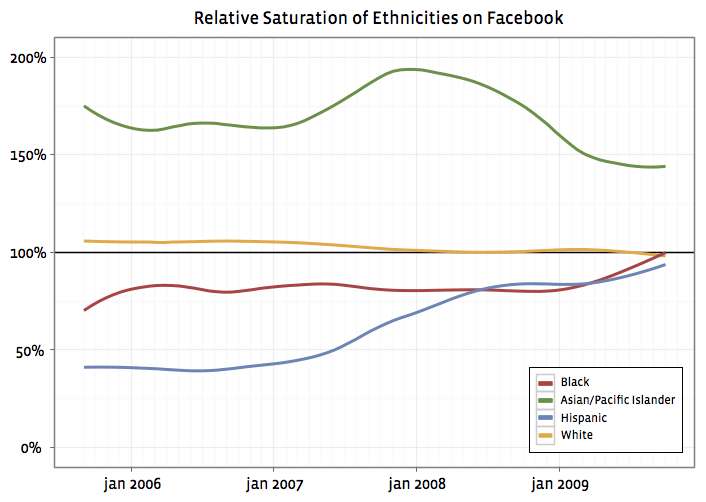 These data about who on Facebook voted offer a new lens into the demographics and behaviors underpinning election returns. 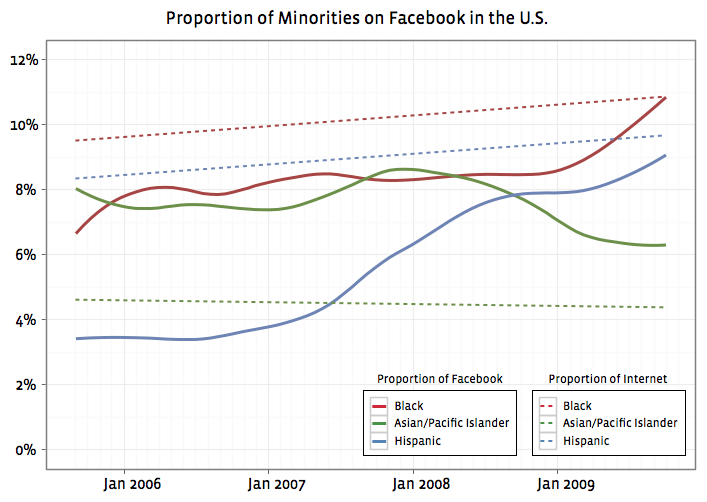 There are a few caveats, (e.g., selection bias for those who are members of Facebook and who visit frequently, reporting bias, no verification, etc. ), but we believe that looking at these data across a number of dimensions offers insight into what types of people decided to vote, when they went to the polls, and which factors may have influenced the election. Voter turnout has been a central issue during this election cycle. Would disillusioned voters stay home? Would there be an enthusiasm gap between Republicans and Democrats? By looking at those users who state their political affiliation on Facebook, we can see a significant discrepancy between the Democrats and Republicans: Dems were 3% less likely than Republicans to get out to the poll. In a number of House and Governor elections, this would have been enough to flip the vote. We can also observe how people of different ages behaved. The figure above shows the proportion of users in each age bucket who said they voted as a fraction of the people who came to the site yesterday, broken down by political party. If you’re wondering if youth today are apathetic about voting, this graph is striking proof that of this fact. The height of voter turnout peaks at 65 years of age, while the lowest turnout occurs at 18 years of age. 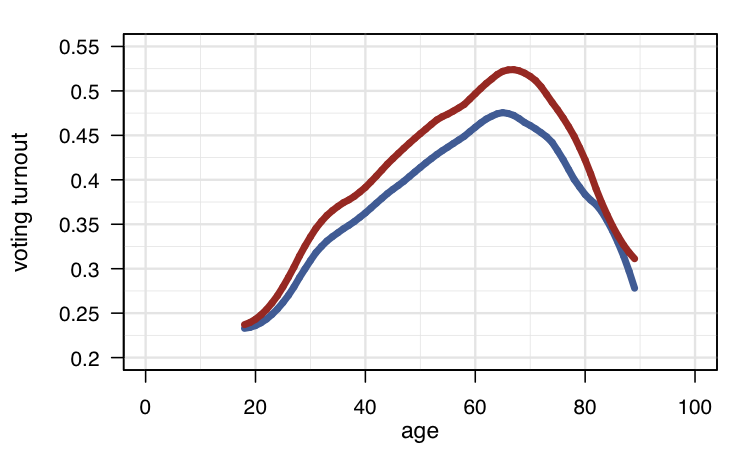 In fact, a 65 year old is almost 3 times as likely to vote as a younger counterpart. This tracks results collected from traditional exit polls, which also show a 30% turnout gap between younger voters and older voters. Furthermore, while Democrats were able to mobilize as many young voters as Republicans, Republicans were far more successful at mobilizing older voters. Many of the seats in this year’s election were hotly contested. But did voters respond by turning out to the polls? The map above shows voter turnout by state. There are a few general trends: lower rates of people in the South and the Northeast turned out. The two states with lowest voter turnout were New York and Utah, followed closely by Mississippi and Nebraska. Another view into the state-level turnout is the relative percentage of voters who came out in each state. The map above shows the share of voters in each state: A blue state means Democrats were voting much more than Republicans, while red implies high Republican turnout relative to Democrats. 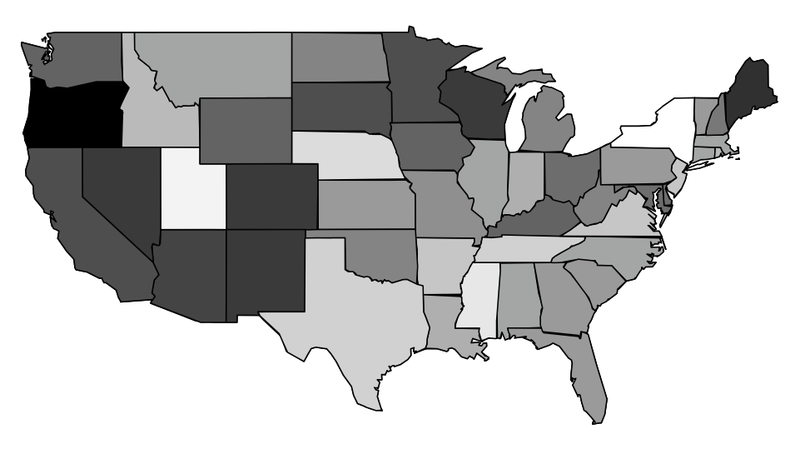 States with an even number of Democrats and Republicans voting are grey. Unsurprisingly, traditionally blue states on the Pacific coast and northeast are blue, while the South and mountain states are red. 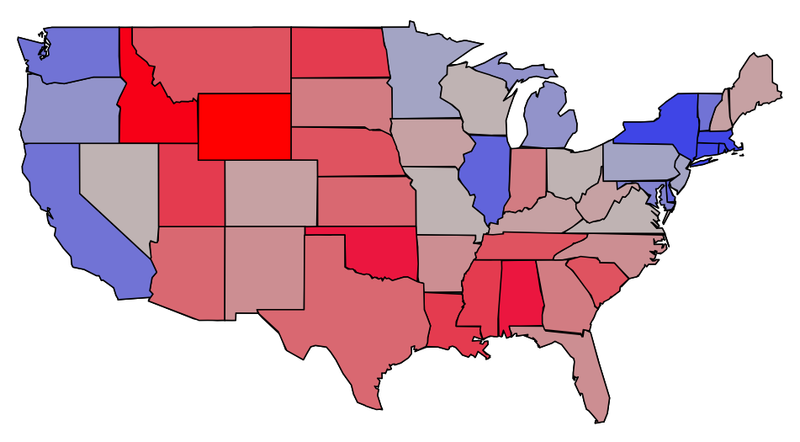 Grey states partially reflect some of the most hotly disputed seats in battleground states, such as Nevada and Virginia. On our election-day display we showed users which of their friends had voted; but how much effect could this have on voter turnout? Could people see their friends voting and go out to do the same? 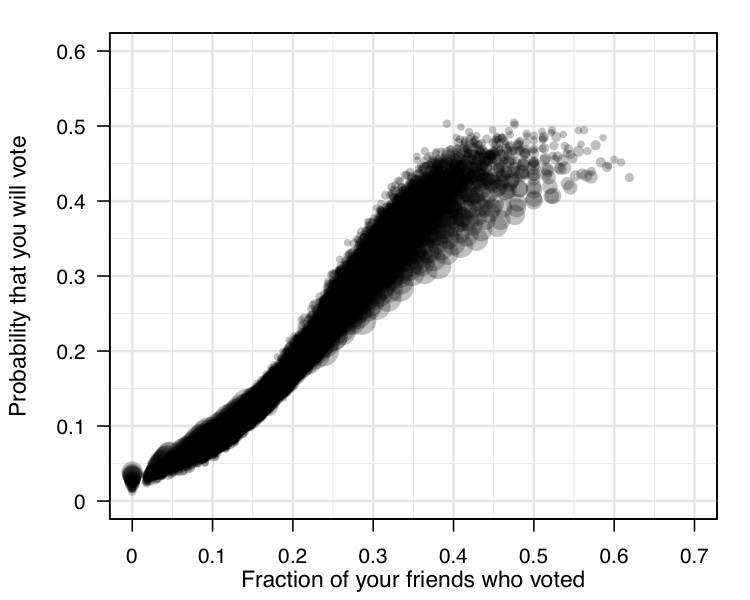 The above plot shows the probability that a person voted yesterday as a function of the fraction of their friends who had voted. As more and more of your friends vote, not surprisingly, you are more likely to vote. Unfortunately, we cannot tell whether this effect is because of social influence, or if voting practice is simply clustered at a local level, but the fact that voting behavior is shared between friends is quite clear. Finally, we wanted to look into recent research which suggests that irrelevant events can have a large effect on voter turnout. It was expected that the winners of this year’s World Series would get a boost in voters, while the loser would see a decline. 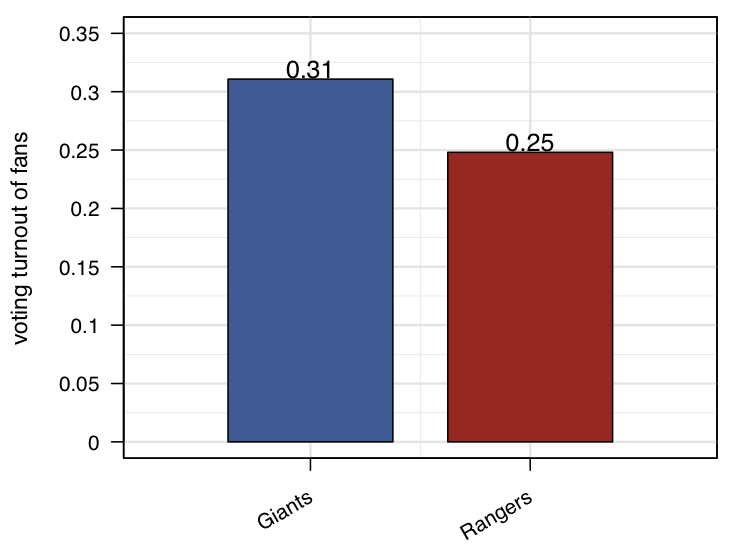 As we can see from the chart above, 6% fewer Rangers fans voted than Giants fans (go Giants! ), but without any longitudinal data it is impossible to know if winning or playing in the world series had a causal effect on voter turnout. Results, however, are suggestive. It is worth noting that both Giants fans and Rangers fans turned out at rates significantly lower than others in those states (California and Texas). Having the last game of the World Series the night before the election probably means some people weren’t in the right mindset to go out and vote the very next morning. This post was made possible by Jonathan Chang who crunched the numbers, Jason Bonta, Feng Qian, Nathan Schrenk and Doug Li who developed the election day tool and Adam Conner who brought our election day efforts together. B.J. Fogg, esteemed Stanford professor of persuasive computing, taught a class last semester about creating engaging Facebook applications. The students were, suffice to say, quite successful. Mr. Fogg will be discussing the class today an open PARC forum titled, Facebook applications, mass persuasion, & world peace. The talk is 4-5pm at the George E. Pake Auditorium. It should be a pretty engaging discussion. 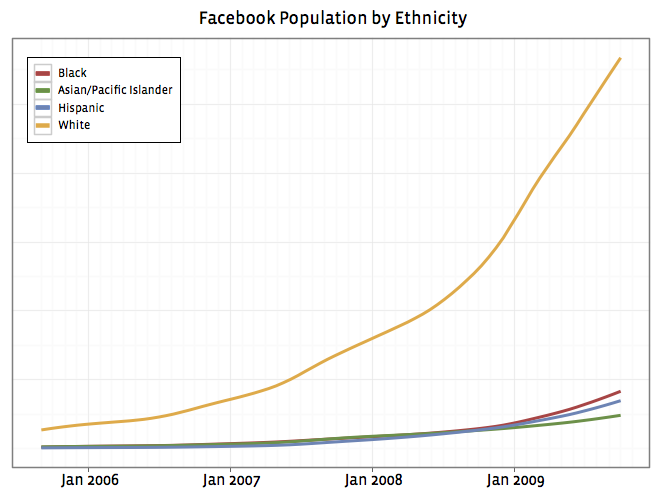 I figure that I should document useful features of Facebook as I encounter them. It turns out that if you have Facebook Mobile installed, you can see a list of all of your friends phone numbers. TrÃ¨s useful if you happen to misplace your phone.